Farmer Brendan McLaughlin who was almost killed in an accident last April features in a new advertisement on farm safety. AS the anniversary approaches of a farm accident in which Manorcunningham farmer Brendan McLaughlin almost lost his life, he features in a new awareness campaign from the Health and Safety Authority (HSA). The short video has been released after the HSA also confirmed they have begun a series of random farm inspections. Some 250 farms are expected to be targeted in the blitz, with a significant number of inspections taking place in Donegal. As farmers across the country prepare for the calving and lambing season, one of the busiest times of the year, the agency is keeping the issue of farm safety to the fore and has just released a series of videos featuring people who came close to losing their lives in farm accidents. 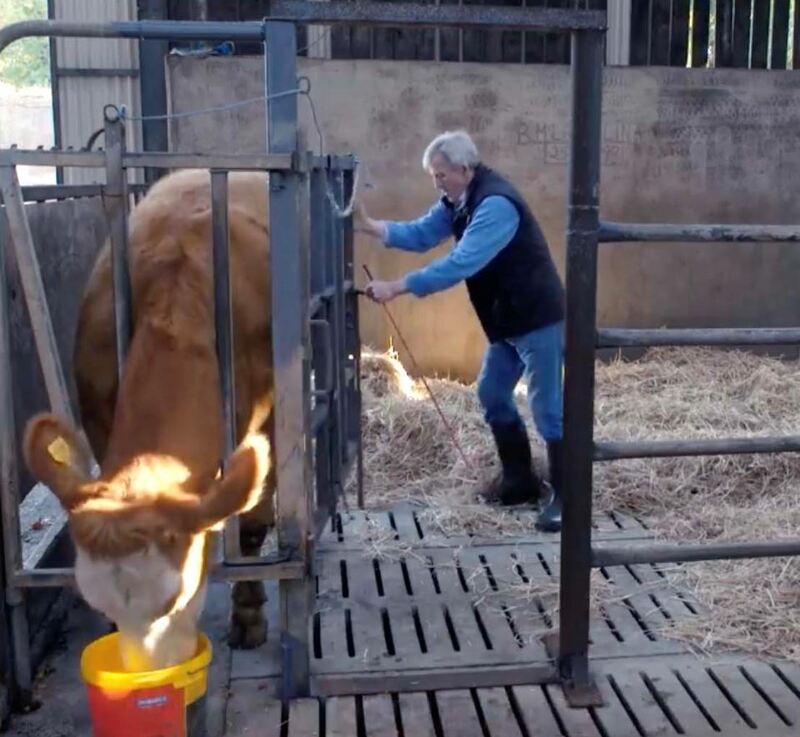 In his ‘survivor’s story, Mr McLaughlin re-lives the incident of April last year in which he was tackled by a newly calved heifer. He hopes it will serve as food for thought to the many farmers who are now facing into the calving season. He added: “You never trust an animal at calving. I shouldn’t have taken her out of the pen. I should have had her in the crush gate or forgot about the whole thing. The HSA commenced their intensive farm safety inspection campaign last week. It focuses on the safe management of livestock during calving season when the risk of injury to farmers increases significantly. A statement from the HSA explained that livestock is the number one cause of accidents on Irish farms – accounting for 42 per cent of all injuries. In relation to fatalities, incidents involving livestock are the second most common cause. In the 10 year period 2009 – 2018, 16 per-cent of all fatal farm accidents (33 deaths) were livestock related, with over half of these (18 deaths) involving cows and heifers. Senior inspector with the HSA Pat Griffin explained: “Although 2018 saw a 40 per cent decline in farm fatalities, there are still far too many deaths in the agriculture sector as well as a substantial number of very serious injuries. Working with livestock is a key incident trigger and there is no room for complacency among farmers.